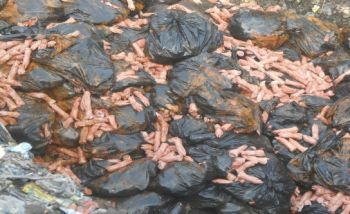 It can be recalled that in December 2018, the European Union issued a worldwide alert to the Liberian government, through the Ministry of Health that a consignment of suspected contaminated pig feet from a slaughter house in Europe was being imported into several countries, including Liberia. The EU, at the time said its surveillance showed that the supply was contaminated with Salmonella Poison. Samples of the supply were taken to the National Standards Laboratory at the Ministry of Public Works yard in Monrovia for testing. The test result, released on January 30, 2019 and validated through an international peer review process proved that indeed the consignment was contaminated with Salmonella Poison.